Global stories for a global audience? In the world full of infotainment and politainment with fact-checking in crisis, in-depth and inspiring journalism is more valuable than ever. As a director of Visual at the Thomson Reuters Foundation (TRF), Liz Mermin oversees a team making creative documentaries telling under-reported humanitarian stories. The aim of the work is to create journalistic work that has an impact to raise global awareness towards some of the most the most urgent humanitarian issues: “We’re trying put message that the far away is not so far away,” said Mermin. But the work does not stop at making good documentary, the next challenge is to attract an audience: “With more documentary channels and film-makers in the game than ever, it may be a golden age for consumers, but not for filmmakers who make documentary about humanitarian topic” said Mermin. To attract a global audience, filmmakers must go to where the audience is already exists. TRF establishes partnership with media companies around the world such at The Guardian and Take Part. 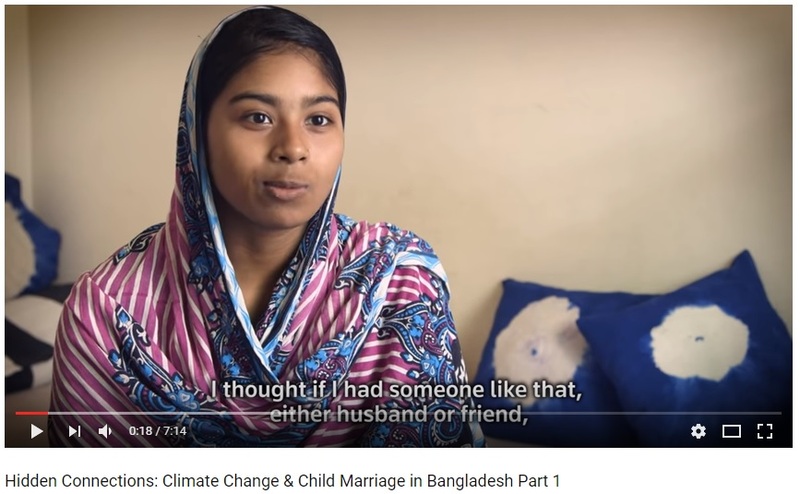 From the story of refugee to ‘hidden connection’ of child marriage in Bangladesh with climate change, Thomson Reuters Foundation have created a number of documentaries aiming to raise audience’s awareness on humanitarian issue. Mermin said that the goal of these documentaries is to encourage advocacy to solve these alarming issues, which can hopefully also lead to policy and system changes. Liz Mermin: Global stories for global audiences? from Polis Video on Vimeo. Mermin presented very interesting examples of original storylines on development topics such asthe Ebola crisis, the impacts of climate change and land rights. But she also raised a more general point about journalism practices that should be considered. In producing these films, she avoided the common practices of expecting journalists to act as multimedia producers, responsible for texts as well as footage. Instead, she sourced the networks and understanding of the situation on the ground of local reporters, and then went with the filming crew for a shooting the video. The products are quality mini-documentaries that remain shareable long after they have been produced. Rather than asking journalists to be media producers, news organisations may gain better contents (and return on investment) by working in teams.